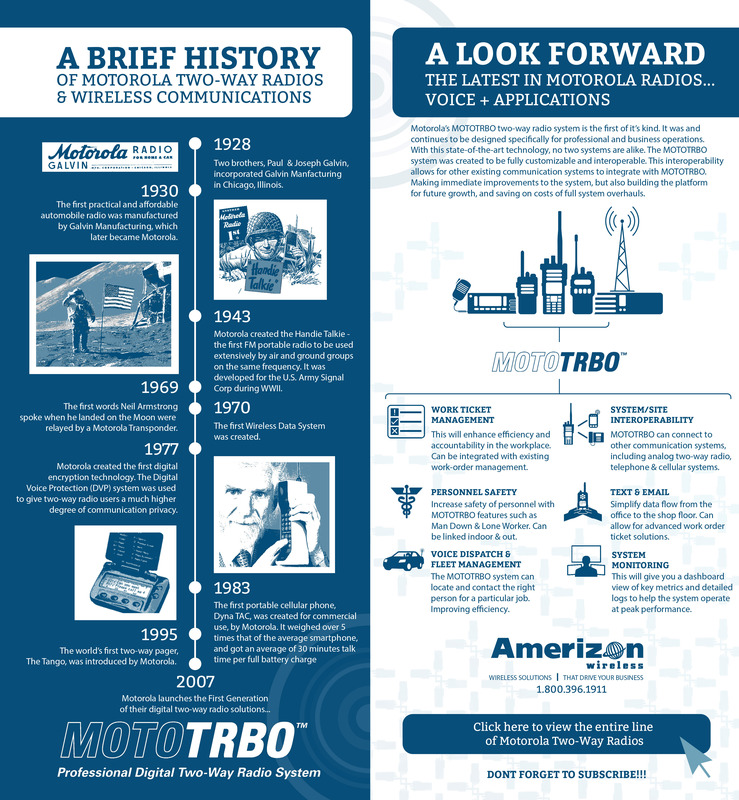 Our infographic shows a brief history of Motorola as a company and a look forward to show how Motorola radios have developed, adding applications. 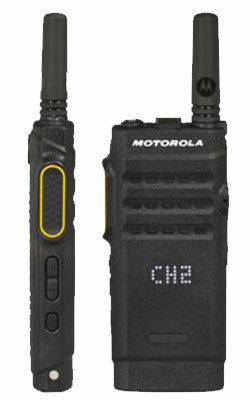 Motorola radios continue to improve and bring more user enhancing solutions! New SL300 LTD Radio Announced! Here are some if the details shared at the Vertex Standard channel partner expo 2015. 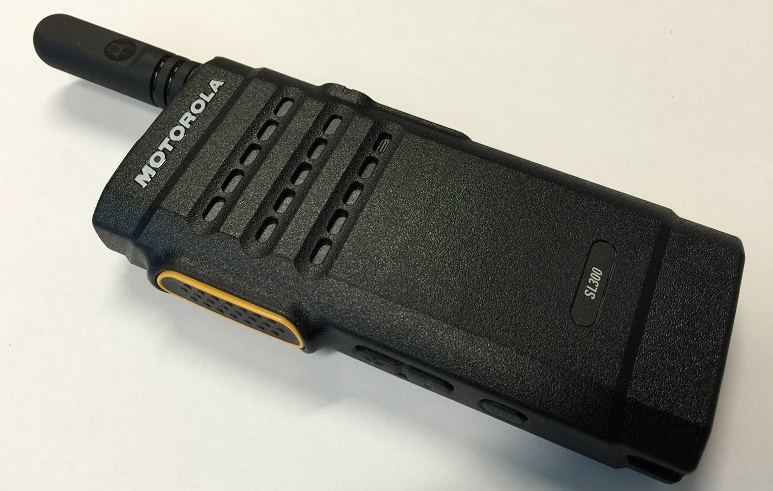 Motorola announces a new smaller form factor repeater with new advanced features at the Motorola Solutions 2015 Channel Partner Expo. We were able to locate a few images of the new repeater. More information to come as we dig into the advanced features that are built into this new system. 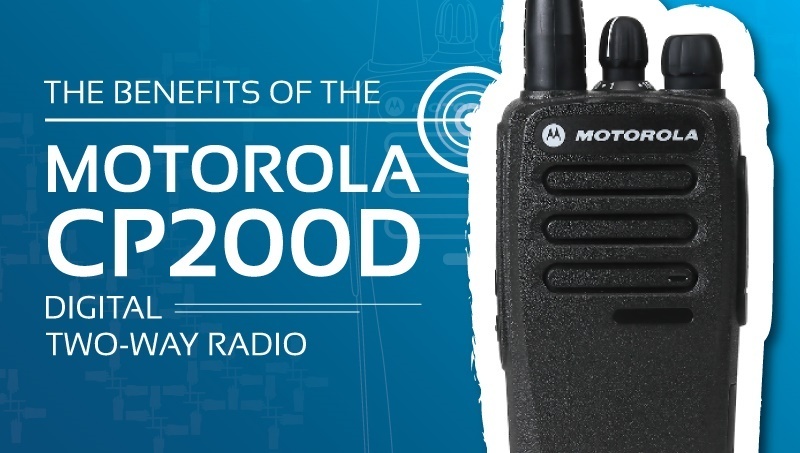 "Featuring an advanced unbreakable Active View Display"
The most sleek, advanced, and professional looking two-way radio to date has just been released by Motorola Solutions and can now be purchased athttp://www.amerizonwireless.com.